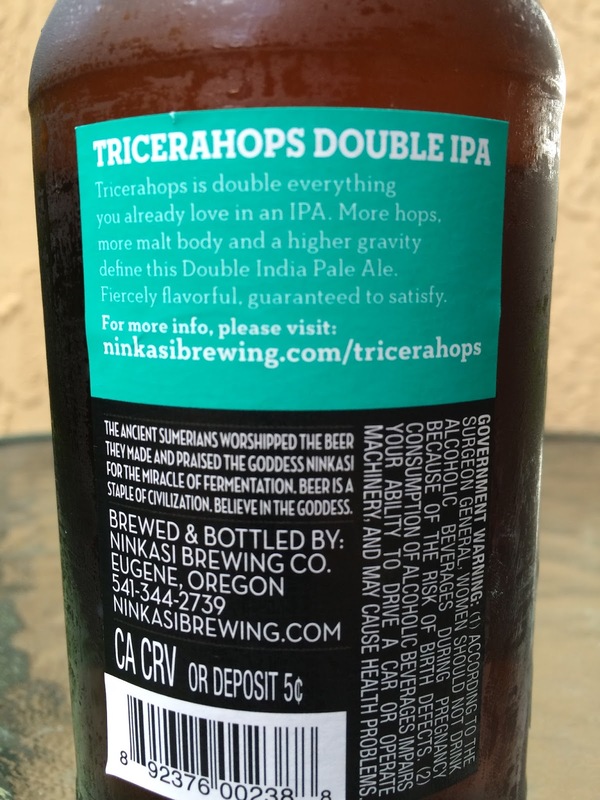 Today I'm checking out Tricerahops Double IPA brewed by Ninkasi Brewing Company in Eugene, Oregon. The label is very simple, but the back label story promises "double everything... fiercely flavorful, guaranteed to satisfy." SEP 25 2015 is stamped on the bottle which seems pretty soon for a drink by date, considering this was just put on the shelves mid August. But whatever! 8.0% alcohol. Almost nothing aroma, was disappointing. However, the flavors did make up for that! Rich and malty to start, orange with some light tropical peach flavors, slightly herbal as well. Then a wash of bitterness took over and never really looked back. 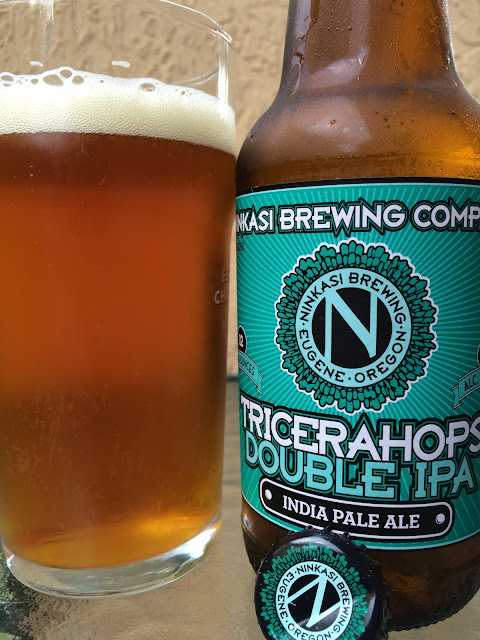 Fresh and dank hops are noticeable but the flavors are really a combination of pine and citrus and some hops resin. That bitterness lasts into the finish, long and tasty! My wife said, "this is your kind of beer!" She knows me so well. Anyway, very enjoyable. Check it out, especially if you're in Florida since this might not be more than just a one time chance!